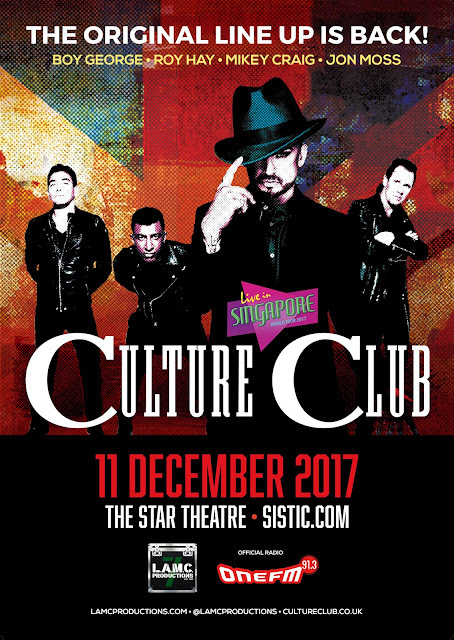 One of the most representative and influential bands of the 80s, Culture Club, will be performing in Singapore for the very first time with the original line-up on 11 December 2017. 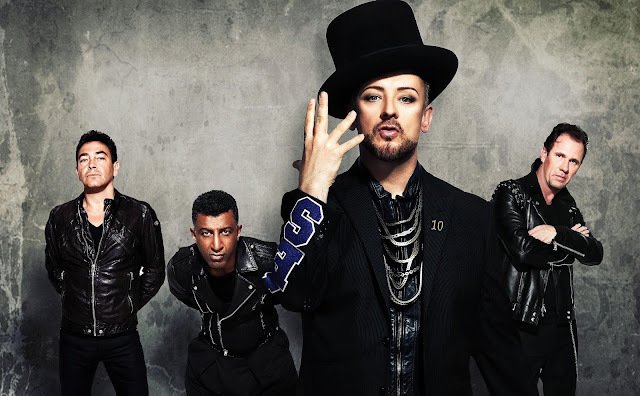 Fronted by the charismatic gender-bending singer-songwriter and fashion icon Boy George, fans in Singapore can relive the 80s as the band performs their greatest classic hits including “Karma Chameleon”, “Do You Really Want to Hurt Me” and “I'll Tumble 4 Ya”, among others. Formed in London in 1981 featuring guitarist and keyboardist Roy Hay, bass guitarist Mikey Craig, drummer and percussionist Jon Moss, and of course lead singer Boy George, Culture Club has sold more than 50 million records worldwide. The band disbanded in 1986 due to George’s drug addiction problem, and after several on-off reunions over the years, the members officially got together again in 2014 to record their sixth album “Tribes”, and now they are stronger than ever. A year after their full reunion, George was presented with the Ivor Novello lifetime achievement award for his contribution to the music industry. The Singapore show follows the Club’s Australian tour and is the only Asian date so far. Taking place at The Star Theatre, tickets for the concert will go on sale on 25 September at 9am via sistic.com.sg, starting from SGD118.